Twist action pen constructed from aluminum. Features a black lacquer top and chrome bottom. Eye-catching and featuring a refillable ink cartridge. 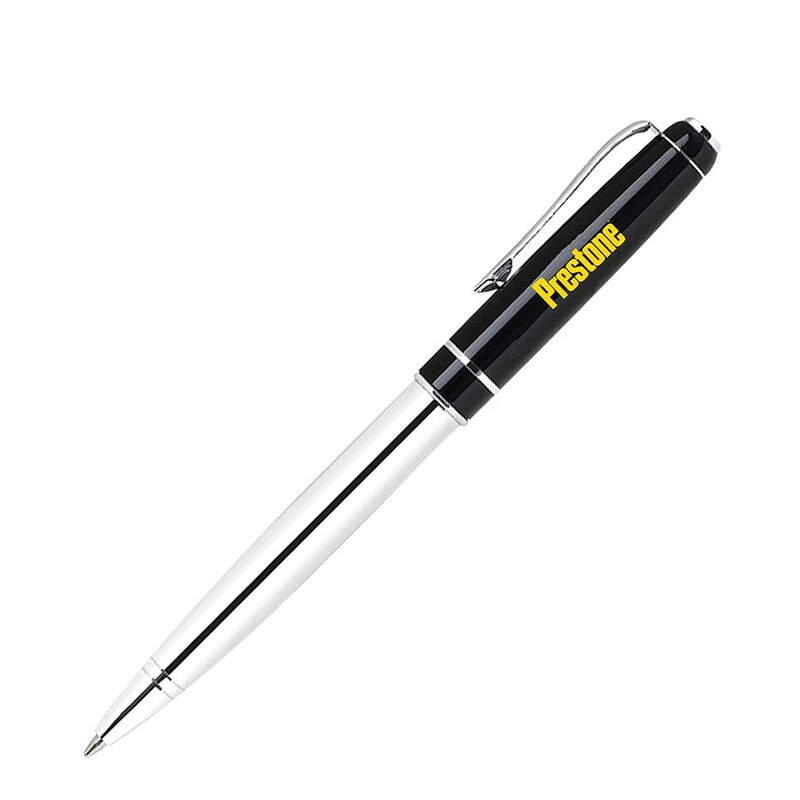 Includes a yellow 'Prestone' logo imprint on barrel.